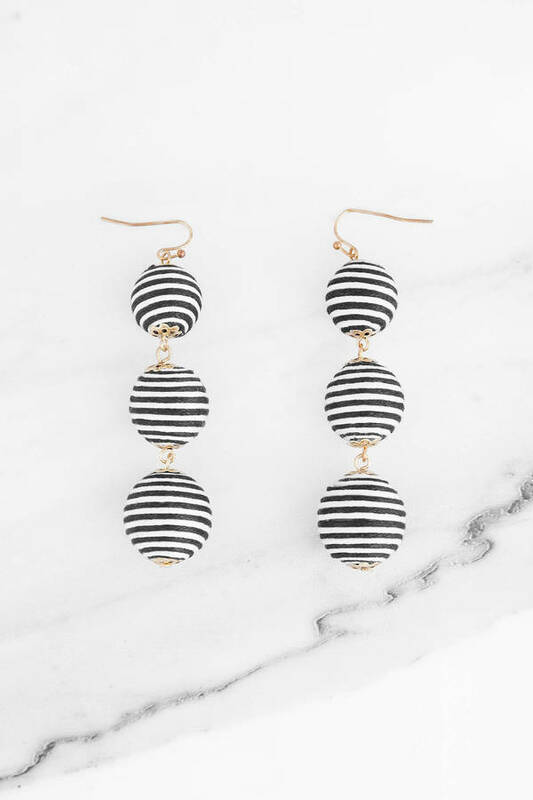 Check out Tobi's Don't Drop The Ball Earrings Make it fun with the Black & White Don't Drop The Ball Earrings. With three bold spheres that gradually increase in size, these dangling earrings with fish hook closure will add a playful touch to brunch, office and cocktail outfits alike. 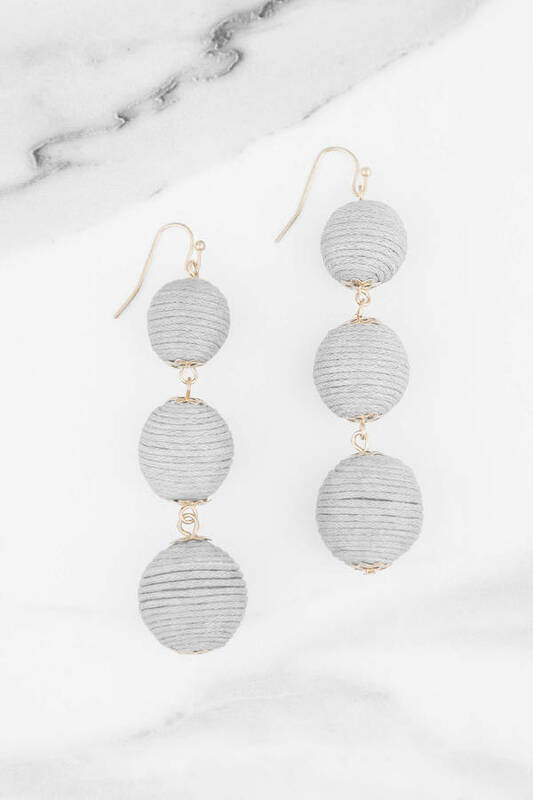 Make it fun with the Black & White Don't Drop The Ball Earrings. With three bold spheres that gradually increase in size, these dangling earrings with fish hook closure will add a playful touch to brunch, office and cocktail outfits alike. 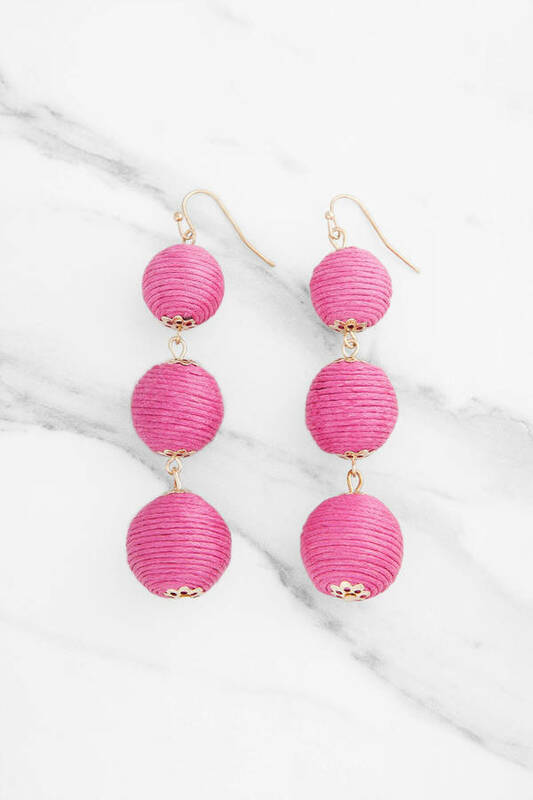 Make it fun with the Hot Pink Don't Drop The Ball Earrings. With three bold spheres that gradually increase in size, these dangling earrings with fish hook closure will add a playful touch to brunch, office and cocktail outfits alike. 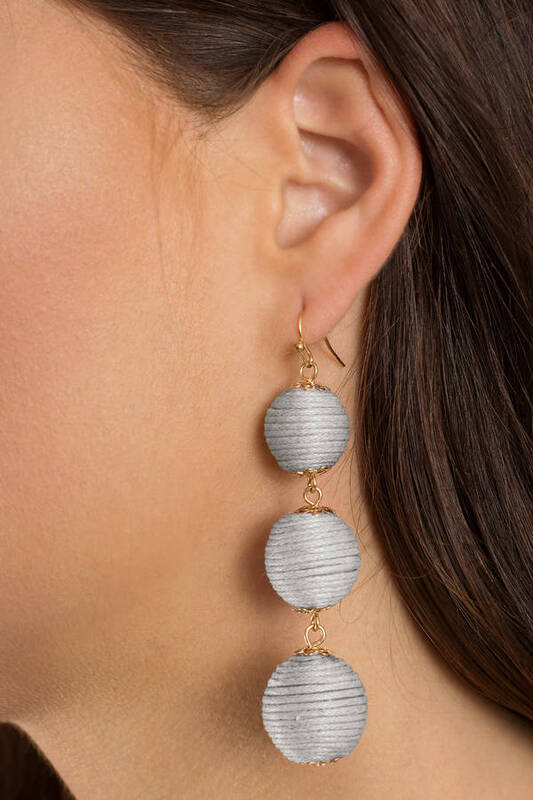 Make it fun with the Grey Don't Drop The Ball Earrings. With three bold spheres that gradually increase in size, these dangling earrings with fish hook closure will add a playful touch to brunch, office and cocktail outfits alike.